Start on this page to get a general sense of what evaluation is and the various ways in which evaluation can be implemented. You’ll find below additional sources providing overview-type information, as well as links to prominent evaluation organizations and established research journals. Norris, J. M., & Watanabe, Y. (2007). 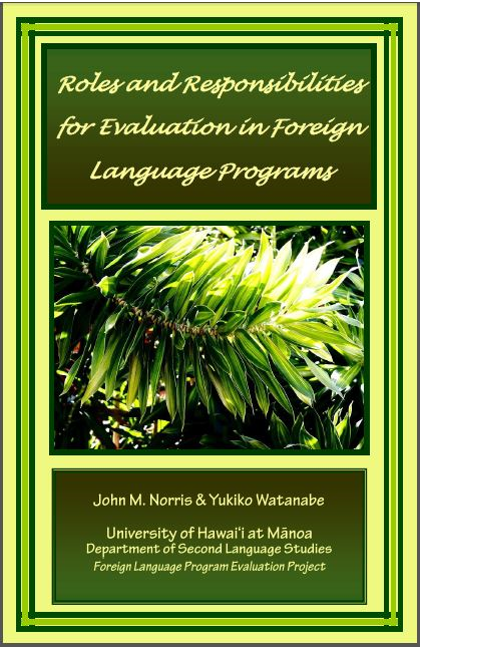 Roles and responsibilities for evaluation in foreign language programs. 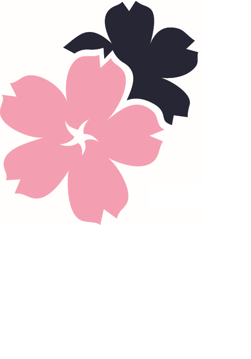 Honolulu, HI: Foreign Language Program Evaluation Project, National Foreign Language Resource Center. This short booklet presents a step-by-step overview of the program evaluation process with particular emphasis on who participates at distinct phases of an evaluation and what their responsibilities are for making evaluation happen. Birckbichler, D. W. (Ed.). (2006). Evaluating foreign language programs: Content, context, change. Columbus, OH: Foreign Language Center, the Ohio State University. This handbook acts as a practical resource for both evaluation teams and individual teachers who aim to improve their understanding of the content of language programs or courses and the context in which they are situated and operate. Divided into three parts, this handbook deals with the initial staging of an evaluation, determining evaluation questions and means for addressing them, and the reporting and follow-up of evaluation findings. This text offers a comprehensive and accessible overview of the various stages involved in the development, implementation, and evaluation of language programs. It provides practical examples from the author’s experiences as curriculum developer, program administrator, and teacher. Checklists, key terms, and application activities and exercises allow for more hands-on practice and integration with material. Kiely, R., & Rea-Dickins, P. (2005). Program evaluation in language education. New York, NY: Palgrave Macmillan. This text doubles as both a textbook for students of program evaluation and a useful how-to starting point for those embarking on evaluations and evaluation research. It is broken into four parts: background of evaluation and assessment, case studies, a how-to guide to evaluation and research, and resources for initiating, conducting, and researching program evaluation. Lynch, B. K. (1996). Language program evaluation: Theory and practice. New York, NY: Cambridge University Press. Through examples from language education contexts, this book provides an introduction to qualitative and quantitative approaches to language program evaluation for researchers, teachers, and those in administration. It advocates for a focus on the formative aspects of program evaluation in lieu of quantitative measures of summative achievements and learning gains. Lynch, B. K. (2003). 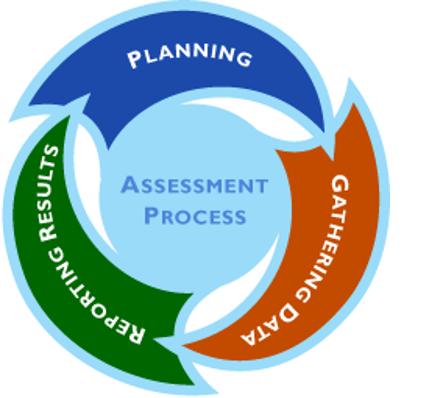 Language assessment and programme evaluation. Edinburgh, UK: Edinburgh University Press. This book explores the intersection and interplay of evaluation and assessment in conjunction with language as a system for creating and constructing power and social relations in present-day society. It delves into purposes, design, and methods of data collection, for instance, with an eye to the social, political, and ethical aspects that accompany evaluation and assessment. Fitzpatrick, J. L., Sanders, J. R., & Worthen, B. R. (2012). Program evaluation: Alternative approaches and practical guidelines. Harlow, UK: Pearson Education. Provides comprehensive overviews and historical contexualization of the main evaluation approaches to date. The second half of the volume addresses practical aspects of planning and conducting evaluation, as well as guidelines for conducting metaevaluations. Newcomer, K. E., Hatry, H. P., & Wholey, J. S. (2015). Handbook of practical program evaluation. San Francisco, CA: Jossey-Bass & Pfeiffer Imprints, Wiley. A practical, how-to text divided into four parts corresponding to the main components of evaluation implementation: (a) evaluation planning and design, (b) data collection procedures, (c) use of evaluation, (d) data analysis. Chapters within each section are authored by leading researchers and experts on a given evaluation topic. Patton, M. Q. (2012). Essentials of utilization-focused evaluation. Los Angeles, CA: Sage. An abridged and practical treatment of Michael Quinn Patton’s seminal “utilization-focused” evaluation approach (described in more detail in Patton, 1998, 2008). Topics include program/organizational readiness, evaluator readiness, capability assessment, identifying intended users and uses, situational analysis, evaluation design, data collection/analysis, and metaevaluation. Rossi, P. H., Lipsey, M. W., & Freeman, H. E. (2004). Evaluation: A systematic approach. Thousand Oaks, CA : Sage. One of the seminal texts in the field. A detailed description of Rossi, Lipsey, and Freeman’s “systematic” evaluation approach. Encompasses a wide (and more technical) range of evaluation topics, steps, and processes. An extensive listing and repository of language program evaluation resources maintained by the National Foreign Language Resource Center. The FLPEP site and project is the predecessor of the AELRC site. The Evaluation Unit at the University of Wisconsin-Extension provides a comprehensive suite of user-friendly, high-quality guides and templates for many aspects of program evaluation. The University of Texas at Austin provides short, easy-to-follow modules on conducting program evaluation, including evaluation planning, methods of data collection, analysis and reporting. 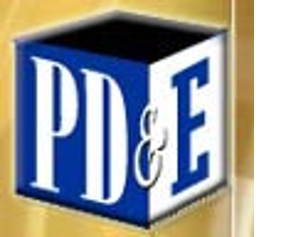 Below are a variety of professional journals dedicated to program evaluation for all types of programs. None of the journals above are specific to language programs. Most language program evaluation work has appeared in the following journals, although none makes a particular claim to be “the” journal on language program evaluation.